Observation - Plants springing up - Global. Description: These plants were pushing up all along the river bank in the park. 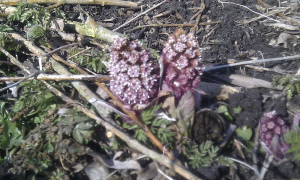 These plants were pushing up all along the river bank in the park.